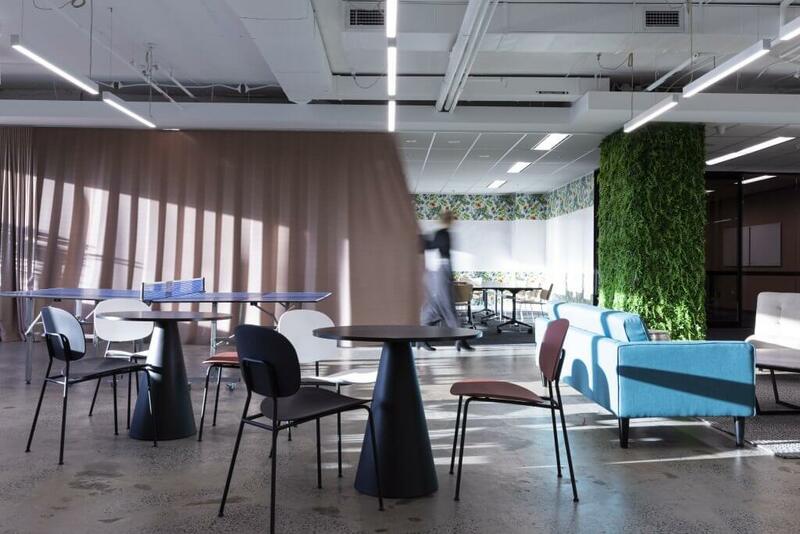 With the Bambora brand spanning multiple sectors and disciplines, our challenge was to design a space that brought everyone together, ensured equality amongst staff, and elevated workplace culture. 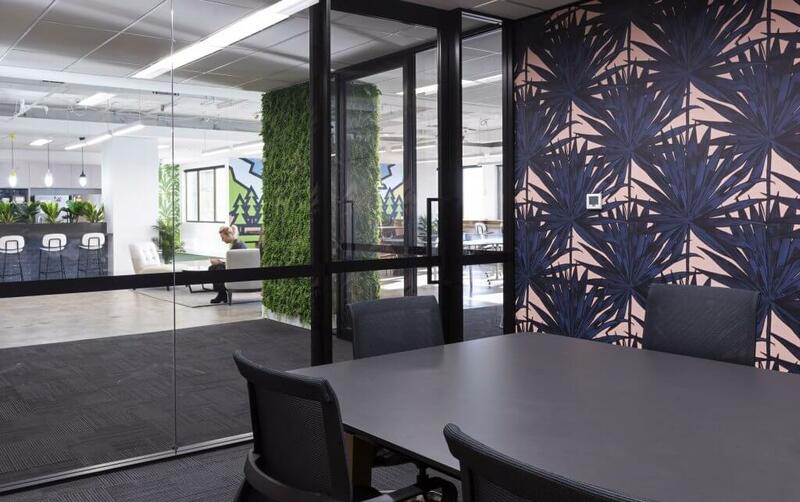 We delivered Bambora office interior design, Sydney. 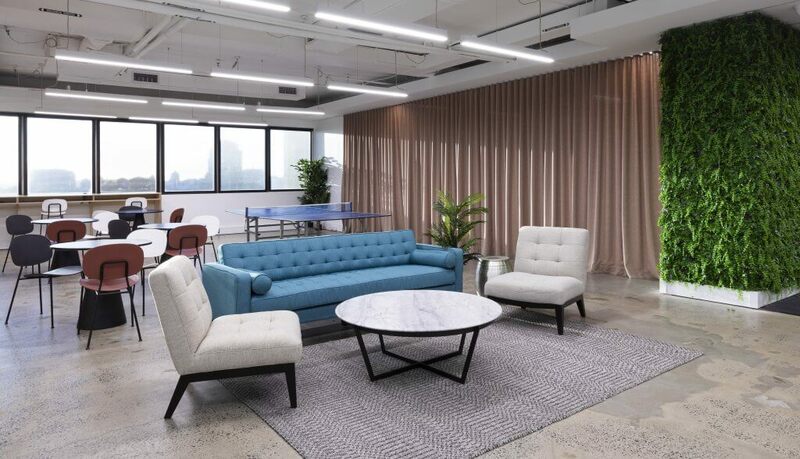 Our design brief for Bambora, Sydney, was to create a commercial office fitout that reflected the global brand while maintaining a connection to their Swedish counterparts and our recently finished project, Bambora, Melbourne.ting a great culture. 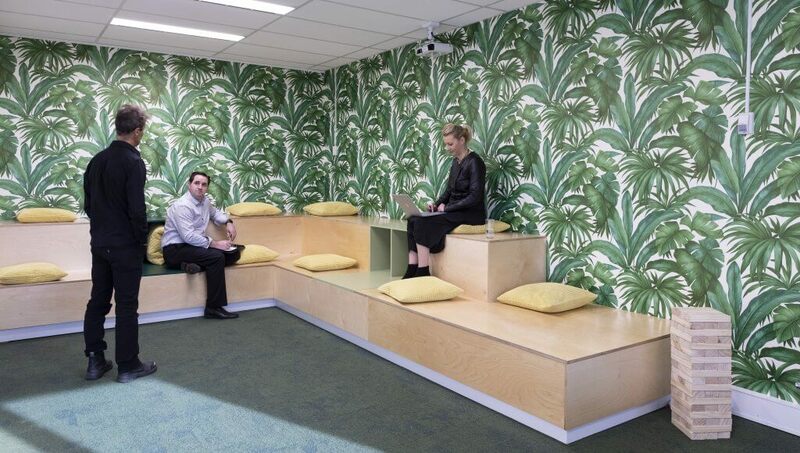 Our challenge was to deliver an innovative space with a natural and fun colour palette – a place for staff to come together and feel connected. The cross/star-shaped floor plan was particularly challenging, as we needed to ensure staff weren’t too separate from each other. We addressed this through hot points around the core of the building, with quiet booths and agile zones within these unique nooks. Our other challenge was the site location. Nestled in the heart of the Sydney CBD building hours and access opportunities were restricted. Bambora was brilliant in helping us navigate this hurdle, ensuring we had adequate site access while also meeting the building owner’s requirements. 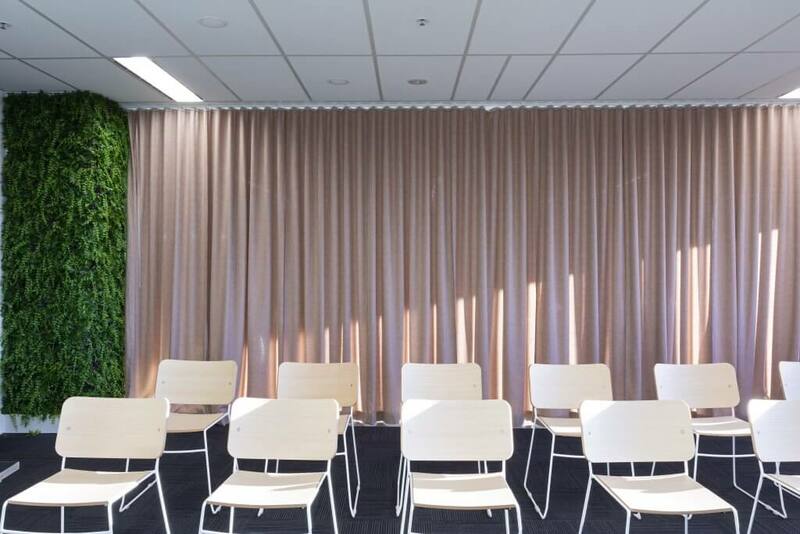 We created an incredible breakout/training space that made the most of the building’s views and natural light – celebrating the outlook over Sydney. 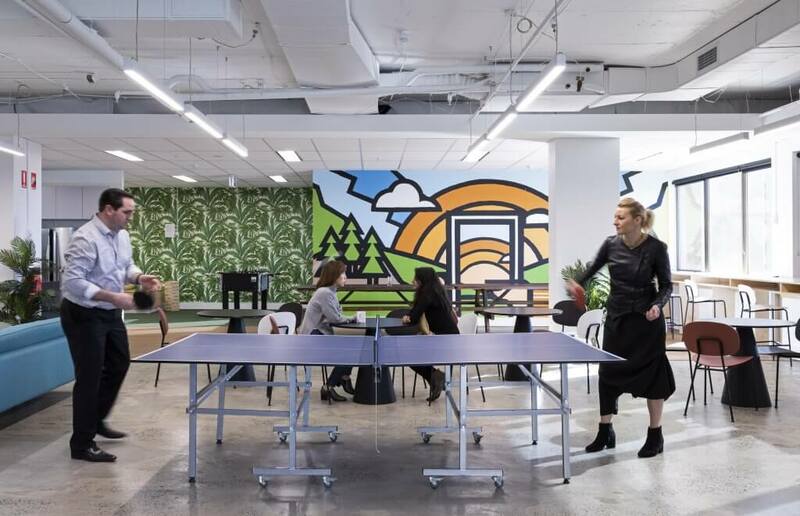 The office lacked outdoor facilities, so we introduced a stunning outdoor-indoor environment with an exposed ceiling and polished concrete floors. 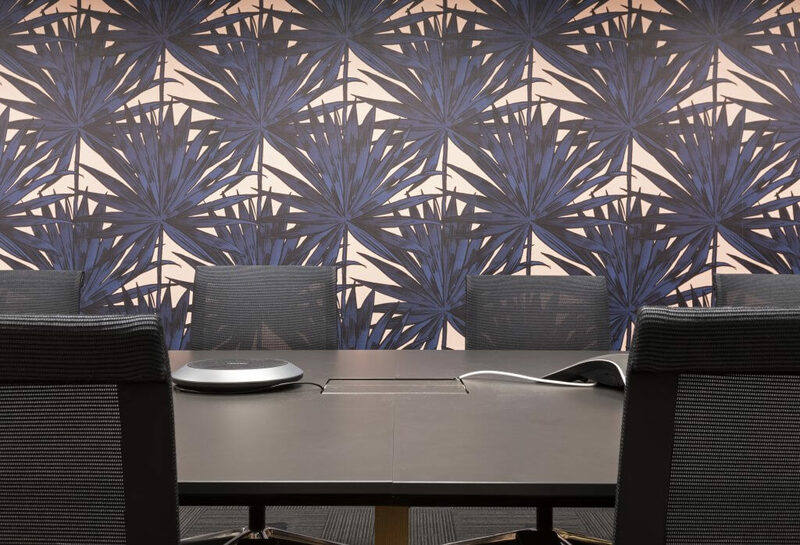 The use of colour and wallpapers ensured Bambora’s brand and staff personality was expressed – creating a fun yet sophisticated area to work from or breakaway. To tie in nicely with the Melbourne fitout, we incorporated a similar u-shape kitchen. The kitchen could be accessed from both directions – supporting their high-traffic requirements while also creating a hub for the surrounding breakout zone. 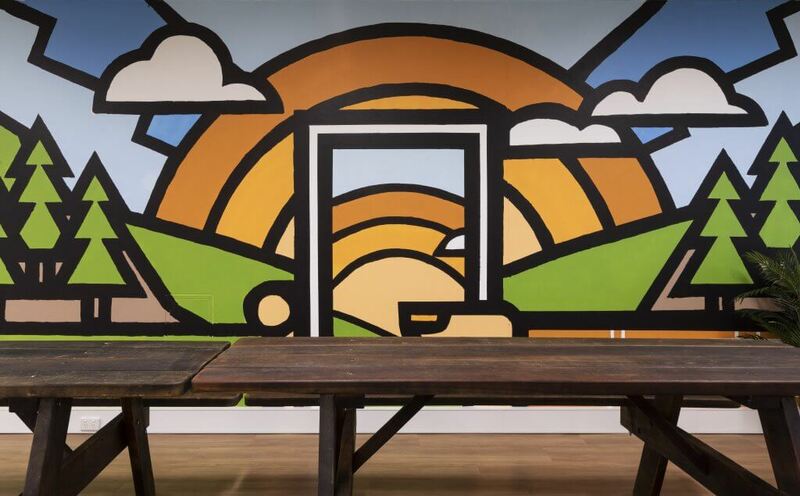 well-designed meeting and collaboration area. We also introduced a new training/thinking hub, suitable for up to 50-people, that provided for meeting-style collaborations and larger staff meetings. The curtain separating it from the breakout zone ensured it could grow and adapt with Bambora on a daily and future basis. Sustainability was at the forefront of Bambora’s brief and brand values. 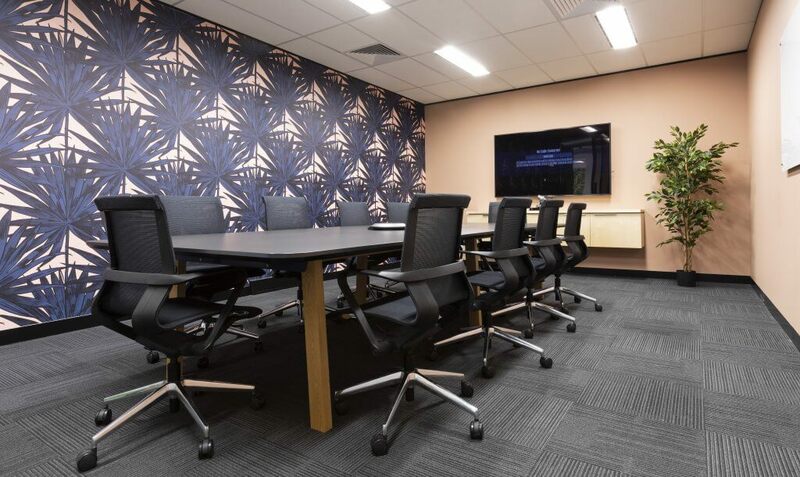 With this in mind, Australian furniture featured throughout the building and Aussie products were used in the commercial office fitout, along with great consideration from the construction team during the demolition and build phases. 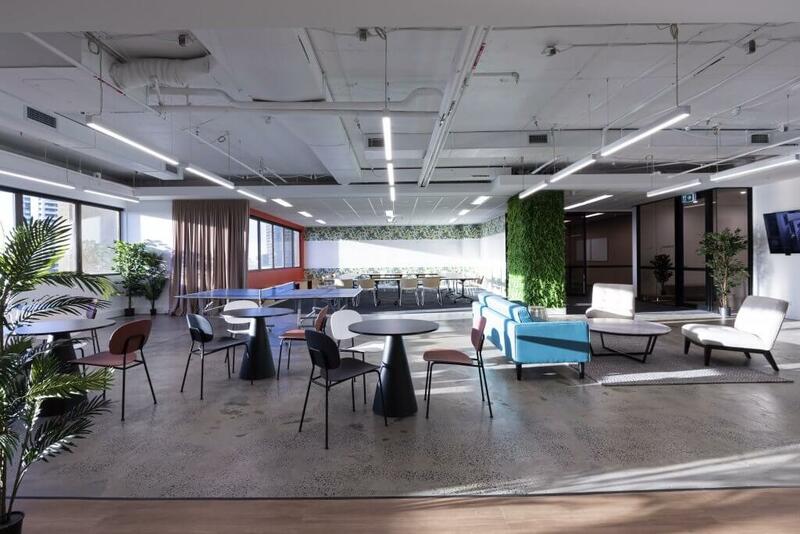 The use of sustainable products such as stainless and cradle-to-cradle flooring also helped support the intent of our design and Bambora’s vision for an environmentally responsible workplace. 1. Bambora’s new courtyard-like breakout area allowed for a great balance of play and innovative working and collaboration areas. 2. The exposed ceiling and concrete floors inspired a naturally welcoming mood – celebrating the perfection and imperfection of the architecture. 3. 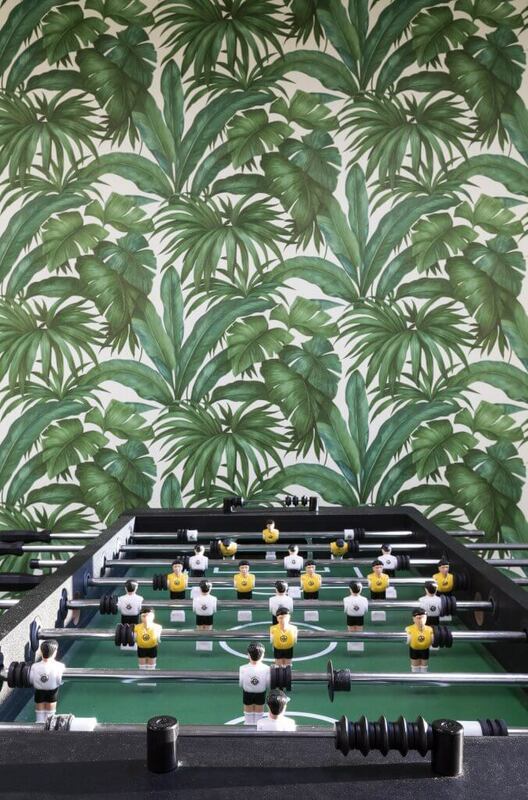 Many different collaboration zones throughout the building and fun wallpaper sparked conversations and new ideas. Merit Interiors completed all aspects of the design, project management, and construction of this fit out.